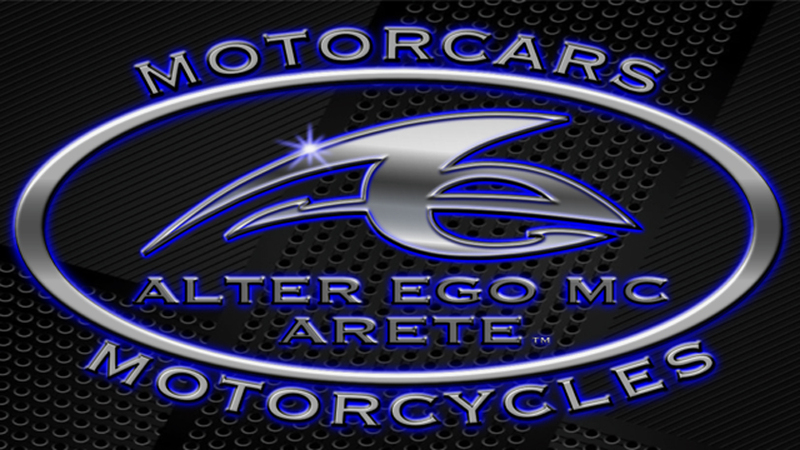 alteregomc.com is taking the Leadership Role in offering Memberships into Coachbuilders of America, which is a networking organization of people and their businesses at very high levels of Automobile Restoration or New Automobile Production within the United States of America, & Its Holdings and Territories. This Page is the location for membership application for the American people who ARE the Coachbuilders in this industry - those with the amazing hands who restore and build automobiles to their highest level in the USA. By "American" we mean within the United States of America, It's Holdings, and Territories. Our listing memberships for the Coachbuilders of America are for individuals and or their businesses within those regions of the USA. If you are an American living and working abroad, please consider application into Coachbuilders International, and, you may certainly mention your US Citizenship there, if you wish. If you reside outside of the United States of America or Its Holdings or Territories please return to our Home Page and go to Coachbuilders International and make your application for membership there. Naturally, if you have a SAME business operating within the USA as well as Abroad, you are eligible to apply for either, or both, the Coachbuilders of America as well as Coachbuilders International. Individuals and or businesses may make application, but each are separate listings and each are individual costs per year. There's a contemporary trend of calling a rusty vehicle restored. No. Just no. So we've named these vehicles " rusty rollers" since that might be the only WAY to move them - ROLL them. Beauty is in the eye of the beholder but rusty cars are dead unless someone intercedes and tries to save them. Rust is an unrelenting ARCH enemy to the automobile. So we'll respect the fans of rusty rollers and know they have their right to choose how they keep their cars. But we ask the same respect for our STRONG opinion that rust and cars do not combine in any way to be considered a restoration. They are not included in our Coachbuilder Organization in any way. And, anyone who applies for membership as a Coachbuilder of America is verifying BY making application, that you or your shop will NOT work on rusty rollers. Please comprehensively read the requirements for membership application in differing LEVELS of Coachbuilding Skills as we designate them here. Disclosure, Integrity, and Common Interest are high on the priority list here at the Coachbuilder Network now available for application to many membership in a wide variety of areas. Please view all of the other memberships available by going to our Home Page and looking at the variety of Coachbuilding Memberships and Indexes we are providing for you. We feel very strongly that the time has come to succinctly describe exactly what it means to be at different levels of Coachbuilding Skills; to give Coachbuilders a central organization to network, profile their talent, provide their contact information for potential clients; and, to have the recognition they deserve for the many years of acquired expertise under their belts. We honor the hands of the amazing Coachbuilders throughout the United States of America, and, abroad. Please select one listing of SKILL Classification honorably according to our standards which we designate to apply for the membership - Coachbuilders of America. The cost for a one year listing in the Coachbuilders of America varies according to skill level, and, the annual fee will renew on the anniversary date of membership. As a special thank you for your membership in this very select group, Charter members (new members joining now through April of 2020) will always pay the same exact amount as the fee when joining. That means if you are accepted as a Charter Coachbuilder of America Member you will never receive an increase in membership cost throughout your lifetime - should there be any increase in membership fees over time. The current annual fee listed for you under your skill qualification, provides a listing profile of fifty words or less describing your expertise and what services or Coachbuilding related products you offer, and, designates by the (SKILL) classification you choose, what LEVEL of restoration or production you provide your clients based on OUR terminology regarding SKILL categories. We want to support the seasoned and salted hands of each of our American Coachbuilders, and, we require an honorable selection of Skill Category. It will be regret-able, but, if we do have evidence that a listing is not truthful, we will remove the listing, refund the pro-ration of the membership fee which remains unused, and, ban that listing from Coachbuilders of America. Select only one Skill CLASSIFICATION and Make your Application for Coachbuilder of America Membership directly under that designation. Please note that you may apply both as an individual, and, also make application for your shop as a separate listing if you want to, but, they are two different memberships with each listing at an individual cost per year. The first step to membership is to pay with the button at the end of the information related to your skill level. Please make your application ONLY in the SKILL designation you are qualified for with the appropriate PAY BUTTON. no matter which classification you choose, send the photos (listed below) that we need for your skill verification and for inclusion into your profile and send your fifty word narrative with all those photos to linda@alteregomc.com. We will contact you as soon as we verify your skill level with the photos. Then, your profile will be posted here on this Coachbuilders of America Page. At a bit later date we'll make entering information more user friendly for members, and, for ourselves. Thanks for being patient, and, for joining in this wonderful new endeavor to streamline the professions connected with Coachbuilding here in America, and, abroad. Please make certain you have provided us a phone number in the email to Linda. "Arete" is a Greek Word which means excellence at the highest level - the highest level in skill, the highest level in action, the highest level in honor and integrity, reaching and attaining the highest level of potential. The word goes beyond the human ability to describe such a high level of everything - it is a philosophical term which you can't put your finger on exactly, but, you know what is referenced by the word and its esoteric meaning once you have become acquainted with the word, ARETE. We chose to coin the word for our use, because, not everyone has the same experience and expertise in the field. Builders have just been called Builders in the past, but now, we are distinguishing levels of skill so universally it is acknowledged what is meant by the Four Terms we've designated for the Four SKILL levels of the folks who previously have all been called, collectively - Builders (an abbreviated version of the word "Coachbuilders" for curious readers new to all of this). These are the Builders with the salted and seasoned hands who love what they do so much that they have stayed the course in the profession in spite of the paramount obstacles of high overhead, and, the lifelong lack of a regular paycheck for themselves and their families. Kudos to you, Arete Coachbuilders of America. We will post five of these photos with your profile. Please send a photograph of your shop with the signage visable. This will also be posted on your Profile. Please send a photograph of yourself which will be posted with your profile. Send all photos to linda@alteregomc.com. please use the Pay Button Below to apply, and, then send your narrative of fifty words, one photo of yourself (this will be posted in your profile), one photo of your shop with the signage visable (this will appear on your profile), and, five to ten photos showing your Custom Coachbuilder Skills (two of which will appear on your profile) to linda@alteregomc.com. Make certain you include all of your contact information in the email. please pay below with the Pay Button, and, then email linda@alteregomc.com with your fifty word narrative about your shop along with five to ten photographs of your work displaying your Custom Coachbuilder Shop expertise. Two of these photos will appear in your listing. Please also send a photograph of yourself, and, a photograph of your Shop with the signage in view. We may ask for additional photographs to verify your Custom Coachbuilder expertise. If you don't see applicable skill categories here on this Page for you, we invite you to return to our Home Page here on alteregomc.com and then to "Coachbuilder Friends and Associates" to make application for membership there. If you would like to donate to us, too, we would be very appreciative.